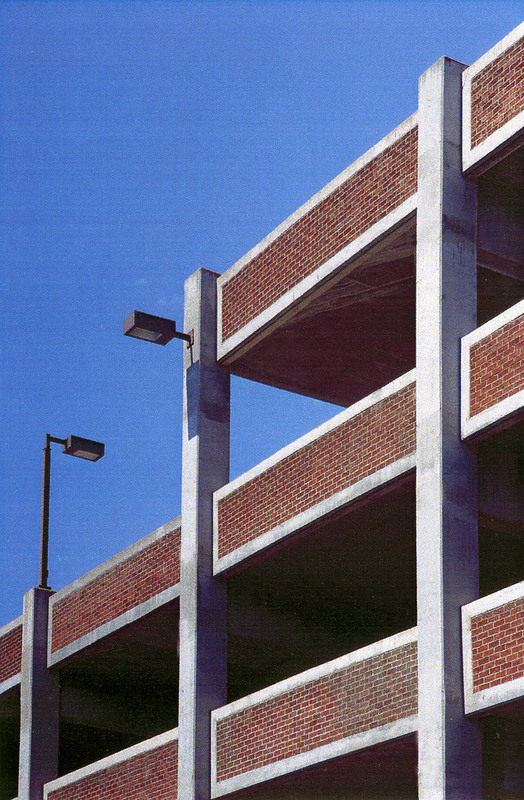 Podolsky designed this five-level precast concrete parking structure. 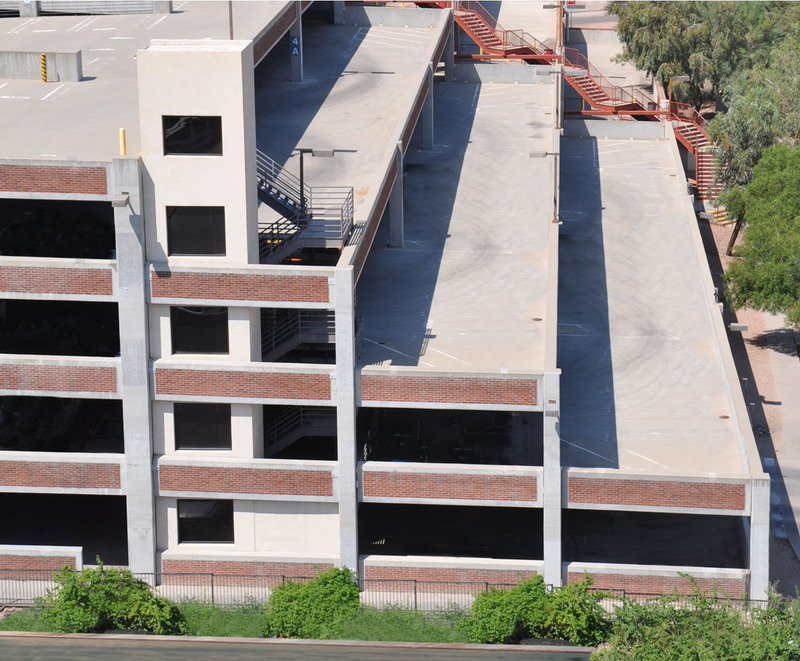 The City of Tucson Parking Structure spandrel panels are inset with brick to be compatible with the adjacent office building. The front of the structure was stepped as to not create an imposing façade. 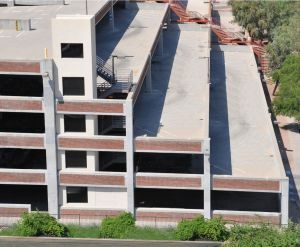 The parking structure accommodates 926 vehicles.